Lancaster & Reed will roll up their sleeves and dig into details. Our professionals focus on the specific needs of emerging and privately held businesses. We offer audit, review compilation services and back office support. We also can provide assistance with key business processes such as strategic planning, budgeting, financing and capital funding, financial analysis and accounting department development, operations and technology. 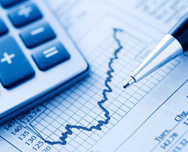 Our firm also offers business owner's tax planning and consulting services. Appropriate tax strategies result in lower income, estate and business tax burdens thereby enhancing overall owner wealth and cash flow. Lancaster & Reed goes the extra mile providing valuable consultation to its clients. While other firms are more than willing to point out areas for improvement, the professionals at Lancaster & Reed will roll up their sleeves and dig into the details.